The Master’s (MSc) degree in Health Sciences provides advanced learning and hands-on, interdisciplinary research in health sciences in new, state-of-the-art facilities. Students develop a deep appreciation for, and understanding of, the complexities of health problems and solutions through a health-based, research thesis and core courses developed to explore interdisciplinary health topics and science communication. This program is designed to meet a growing need for interdisciplinary health research, and skills in knowledge translation and data analysis. The interdisciplinary nature of the program ensures research theses span health disciplines, are informed by expert faculty and external partners across health sectors and fields of research, and that knowledge is communicated to stakeholders across scientific and broader health communities. We also offer a collaborative specialization in Data Science for MSc candidates. 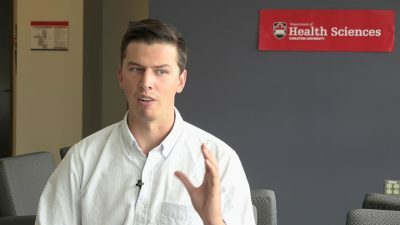 Why I Chose the MSc in Health Sciences at Carleton U.